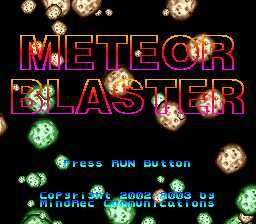 Good Deal Games - Classic Videogame STUFF - Meteor Blaster for the TurboGrafx-16 - PC Engine and TurboDuo! 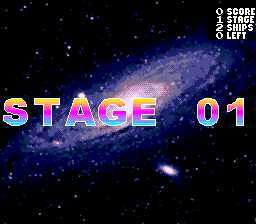 This is a downloadable demo for play on the PC Engine (and PCE emulators) such as Magic Engine or the Virtual PC-Engine. 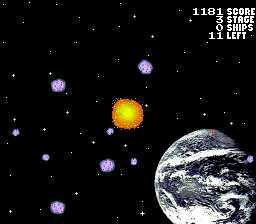 The PC Engine was known as the TurboDuo in the US and also as the TurboGrafx-16 with CD-Rpm add-on. This basic version is available for free from MindRec.com and Good Deal Games. A Deluxe SCD version will become available in early 2004 and will have a limited release. The deluxe version will feature cinemas, CD audio and more diversified gameplay.